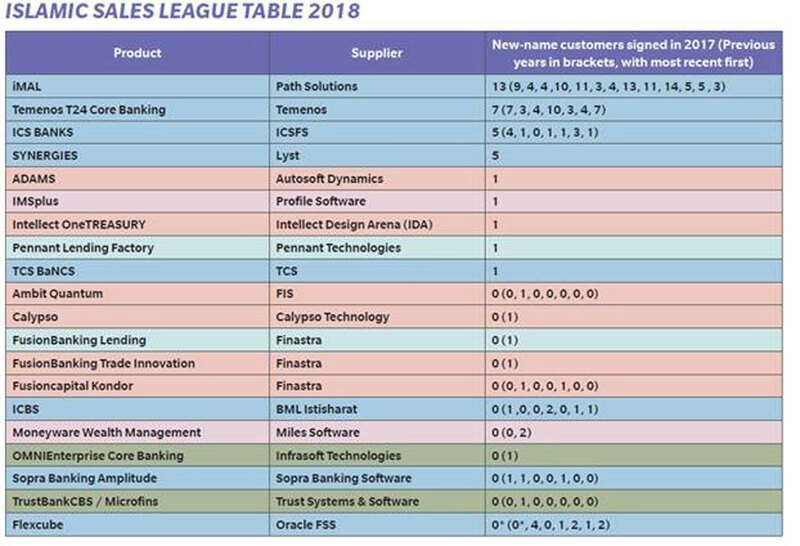 May 28, 2018 – Path Solutions, a leading provider of Islamic banking software systems announced today that the company has topped IBS Islamic Sales League Table (ISLT) 2018. This marks the sixth consecutive year, nine times in total in which Path Solutions holds on again to the No. 1 spot on this iconic international list. 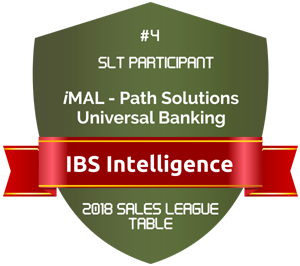 IBS Intelligence has unveiled that not only Path Solutions has been recognized as a winner in its primary line of business, being the vendor of choice for Sharia-based core banking platforms for major Islamic financial institutions around the world; it also ranked ‘4th Best Selling Primarily Universal Banking System Provider Worldwide’ in IBS SLT 2018. IBS SLT is the ultimate banking industry list of which vendors have sold the largest number of their key systems. It provides a hugely informative guide and tells the industry accurately what has actually been acquired by banks and financial institutions during the past year. It aims to identify the industry’s most successful IT providers, and features software giants such as TCS, Finastra, and Oracle FSS. According to the list, Kuwait-based Path Solutions continued its dominance in the Islamic banking category with 37% market share registered by the end of 2017. IBS spokesperson commented: “With great pleasure we congratulate you on your impressive performance in the 2018 IBS ISLT. This has been a record year of industry participation with over 51 suppliers providing insights on 1078 system sales concluded with 917 financial institutions in over 124 countries across 10 system categories. Once again, Path Solutions has been identified as a top-performing Islamic software vendor. The company continues to focus on the African and Middle East region, winning all deals from these regions. It had a particularly good performance in the Iraqi market winning four deals in this country, notable client being newly established Zain Iraq Islamic Bank”. “The most important benchmark of business performance is client satisfaction”, said Mohammed Kateeb, Path Solutions’ Group Chairman & CEO. “The fact that we continue to significantly increase our client base year after year, while delivering innovation, software reliability and ROI to our clients, fills me with great pride. Path Solutions’ impressive showing on IBS 2018 prestigious ISLT and IBSI Leadership Club is a clear testament to our commitment to meeting and surpassing our client expectations while expanding our technology global footprint”. IBS Intelligence is a leading UK-based financial technology research, publication firm, and the news and media division of Cedar Management Consulting International LLC. Cedar is a leading global consulting, research and analytics firm with network offices in 16 countries, and hundreds of consulting projects executed globally. Their SLT provides a vital tool to those in financial institutions who have the responsibility for selecting IT vendors for RFIs, and is likely to influence vendor selection across many financial industry sectors.